The Hypo Group is still far away the end of restructuring. Losses between € 700m and € 900m are expected for this year. The state gives a guarantee for 500m. Because of low interest rates and spreads, Austria is able to get convenient financing on the loan market. Euro-bonds would mean significant costs for Austria. 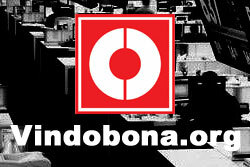 Imminent job cuts because of the uncertain business development. Massive disadvantages for Austrian companies because of financing made more difficult are feared by the members of the of the Vienna Stock Exchange board, Michael Buhl and Heinrich Schaller. The Business Barometer presents both opportunities and risks for the Austrian economy. 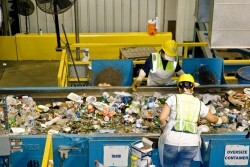 Shortage of skills and low investment continue being weak points. The recent arrest of former Croatian Prime Minister Ivo Sanader casts shadows on the Carinthian Hypo Group. Austrian OMV considers that the gas pipeline project of European energy companies is developing according to plans. 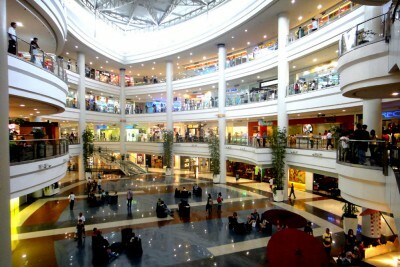 The plan of an Austrian group of investors to build the largest shopping center in Europe in the Croatian capital threatens to fail. Is Austria a Risk Country? 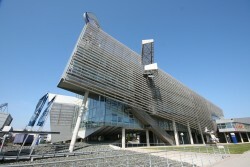 Due to its engagement in Eastern Europe, Austria is partially considered as a potential risk country. Lack of understanding for this assessment is shown by Austria. Although he supports the euro-bonds in principle, the time has not come yet for the Governor of the Austrian National Bank. 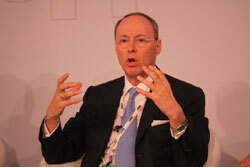 The CEO of the Austrian oil group, Wolfgang Ruttenstorfer says: "2010 was a good year for OMV”. Austria follows the international trend of growing corruption. 25% are ready to pay bribes worldwide. The "red-white-red-card" is to meet the needs of the Austrian economy for skilled foreign workers. Austrian Economic Chamber President Christoph Leitl supports the EU's Danube region strategy to expand infrastructure between the Danube countries. Hans Peter Haselsteiner has been reappointed, Siegfried Wanker acts as new technical board member in Special Divisions & Concessions segment. 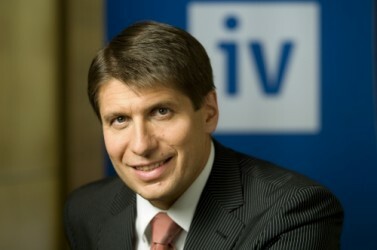 The Frenchman Thierry Antinori, is to complete successfully for Lufthansa the restructuring of the Austrian subsidiary. The issue Hypo Alpe Adria preoccupies not only the Austrian justice: Bavaria's Prime Minister Horst Seehofer defended the sale to Austria. 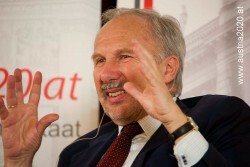 The governor of the Austrian National Bank, Ewald Nowotny, is for the introduction of euro-bonds. Germany’s resistance is pre-programmed. The President of the Vienna Economic Chamber, Brigitte Jank, sees above all great opportunities for Austria in Japanese biotechnology and pharmaceutical industries. 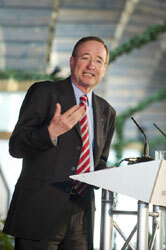 By 2015, the Chairman of the Board of the Austrian steel group, Wolfgang Eder, intends to achieve sales over € 15b billion through expansions. The volume of trade between Austria and Russia has increased by 30%. Innovation and modernization are core issues for both countries. The President of the WKÖ (Austrian Federal Economic Chamber), Christoph Leitl, gives a clear answer to the euro critics: without the euro, Austria would have become a problematic case in 2009. 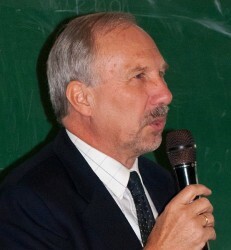 The President of the VÖSI, Peter Kotauczek, draws a sobering summary of the efforts of domestic software manufacturers. Wikileaks: Criticism of Austrian Politicians by the U.S. The critical view on Austria's leading politicians on part of the U.S. is written down in the recent revelations of the Wikileaks platform. 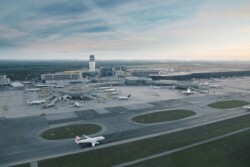 The controversial directors of Flughafen Wien (Vienna International Airport) defend themselves against public criticism of the construction project "Skylink". Domestic insider trading regulations could be improved, imply top personalities of the Austrian economy. Radical proposals are also being made. 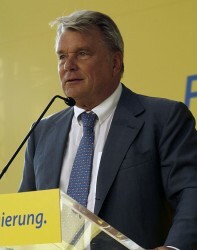 The contract of Peter Michaelis, Chairman of The State Holding Company OIAG, expires in June 2011. There is disagreement over the succession in the government. The Chairman of the Erste Group is not convinced anymore by Austria's financial policy; the Governor of the National Bank however, still stands on "AAA". Salary negotiations at Austrian Airlines falter. The staff wants at least a salary increase equivalent to inflation. 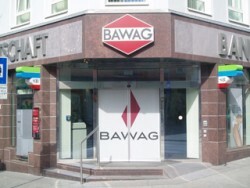 The Austrian bank Bawag PSK, now owned by the U.S. fund Cerberus, is to have profits again this year: € 100m are expected. While the trial date for the CEO of OMV has already been set, many leading personalities express their trust in an open letter. The Minister of Economy, after meeting with his Swiss counterpart, said: "Switzerland is the third most important export partner; new opportunities with eco-innovations should be profited from". Whereas Industrialists and the Economic Chamber (WKO) are asking for enactment today, the Umweltdachverband (UWD, Environmental Federation) is against it. 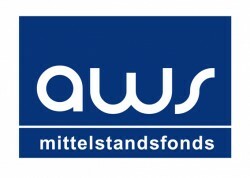 The Austrian development bank aws (austria wirtschaftservice) provides staffing and strategic action steps in order to implement innovative and technological trends. Basic Element group exercises the call option for 17 percent stake in Strabag. Austrian Airlines, a Lufthansa subsidiary, is to get the Frenchman Thierry Antinori as its new CEO. The board is to be expanded with this appointment. 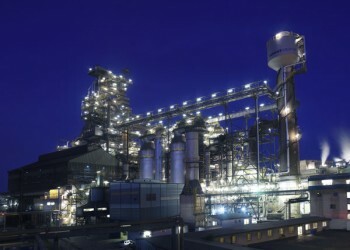 The Industriellenvereinigung (IV, Industrialists Association) is relieved about issues concerning location policy, and at the same time calls for structural reforms. The still ailing Carinthian bank restructures the leasing division. 500 jobs are being cut. Finnish ex-Prime Minister Lipponen exposes economic success secrets of his country. After the decisions made about personnel, Kern wants to make the freight division profitable again. 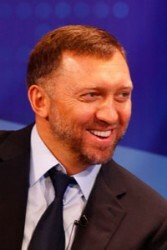 The group’s CEO has accorded himself three years for the process. Is the Austrian Industry still competitive? The chief economist of the Industriellenvereinigung (IV), Christian Helmenstein, draws a sobering picture on the future of the domestic industry. Young people have to be trained practically to meet the challenges of the future. 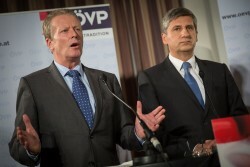 An administrative reform should not be foregone, said Hochhauser. The President of the Austrian Economic Chamber (WK), Christoph Leitl, call on the government for location and future investments.